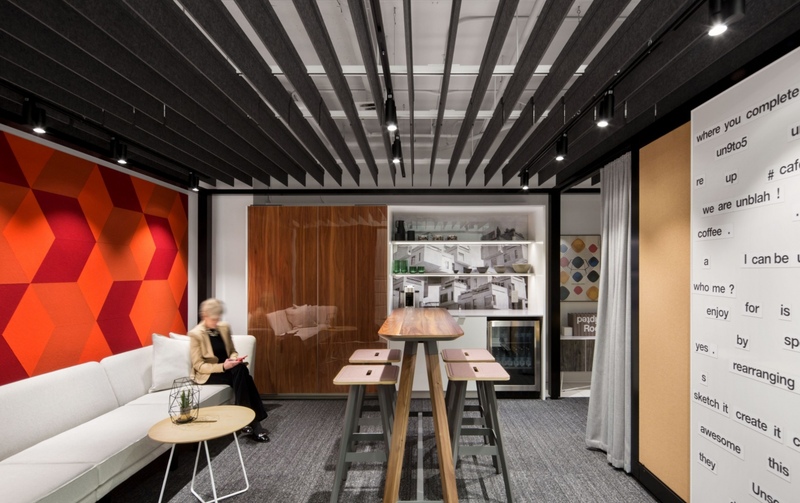 For the fourth design phase of Burovision’s working showroom, the goal was clear: unite Knoll’s personalities in one and unique space, while demonstrating a maximum of possible configurations. 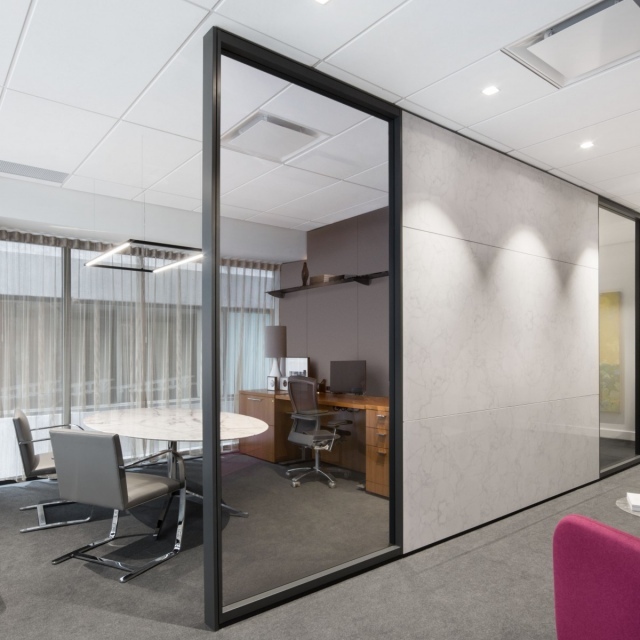 Through this guideline, more natural lighting for the employees, addition of new workstations, an update design for the executive zone and improved acoustic were required. 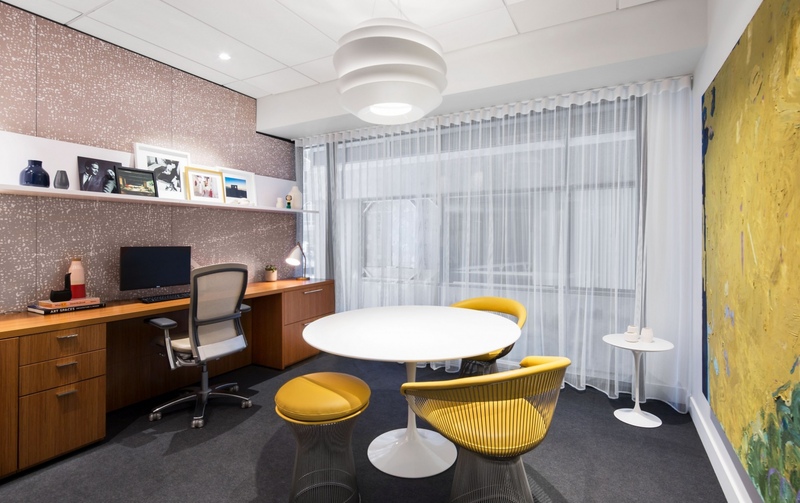 Inspired by Florence Knoll’s researches in the 60s and their adaptation to the 21st century, FOR. 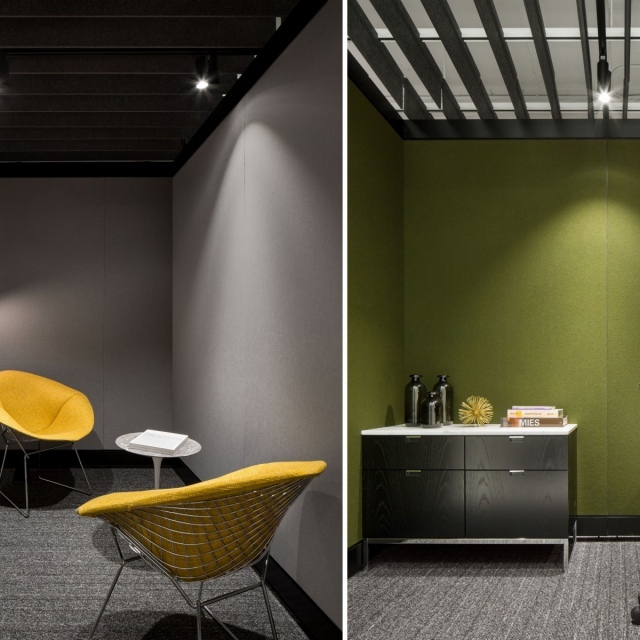 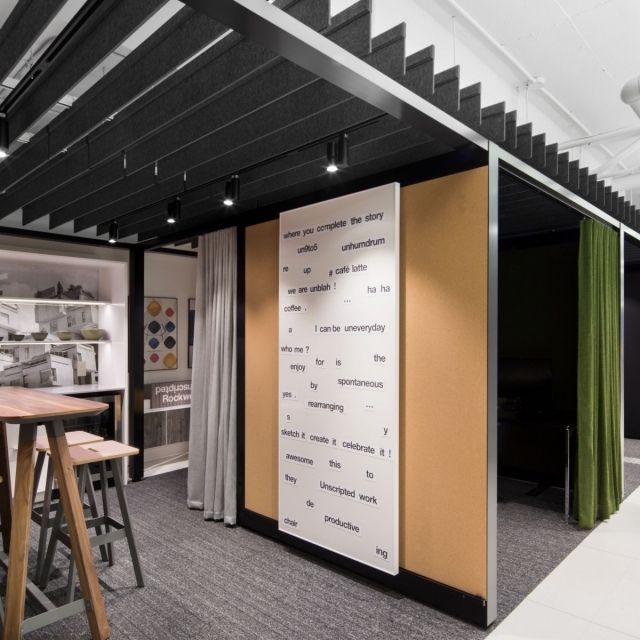 inserted a pavilion made with the new Rockwell system in the heart of the space, creating a multitude of small residential-vibe chambers: a bar-lounge corner, an informal meeting room, a dining or conference room, a working office, and customizable workstations. 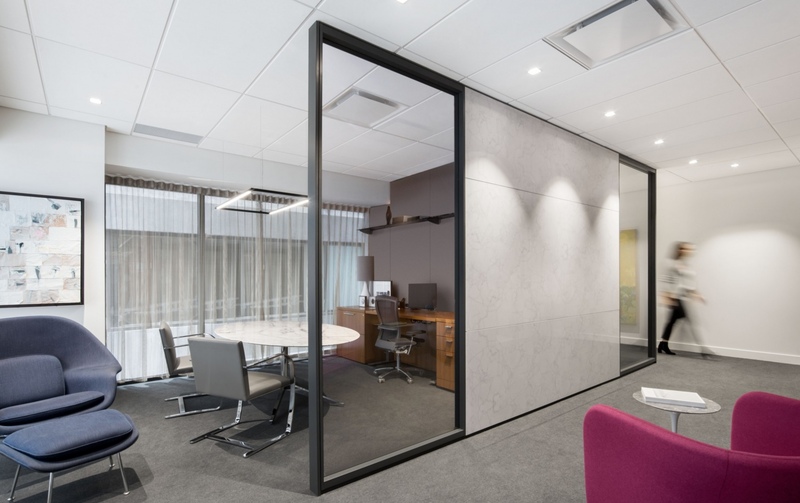 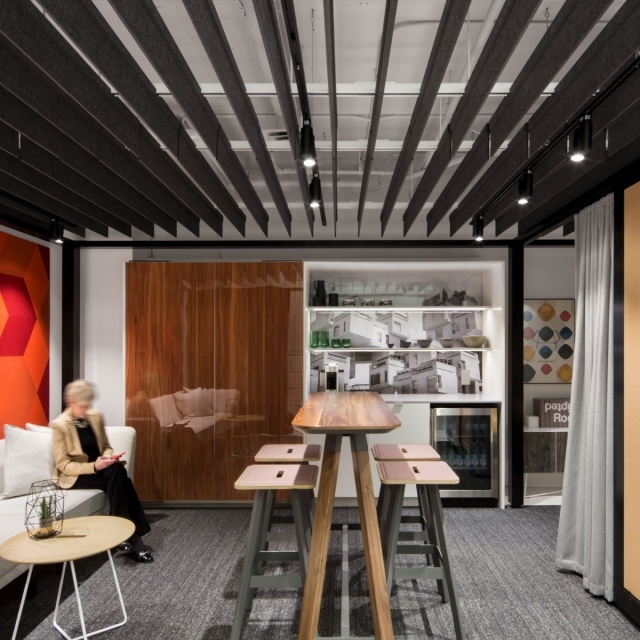 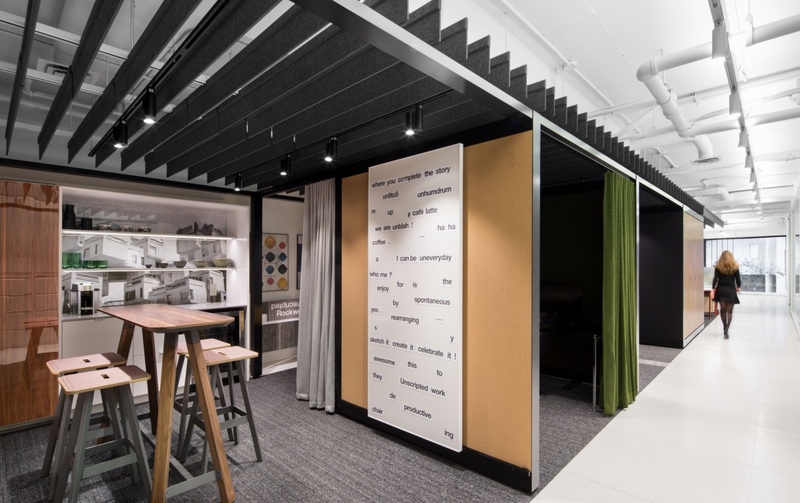 Above this multifunctional module, the Rockwell felt slats filter direct lighting from the ceiling fixtures, soundproof the space and give privacy to certain zones. 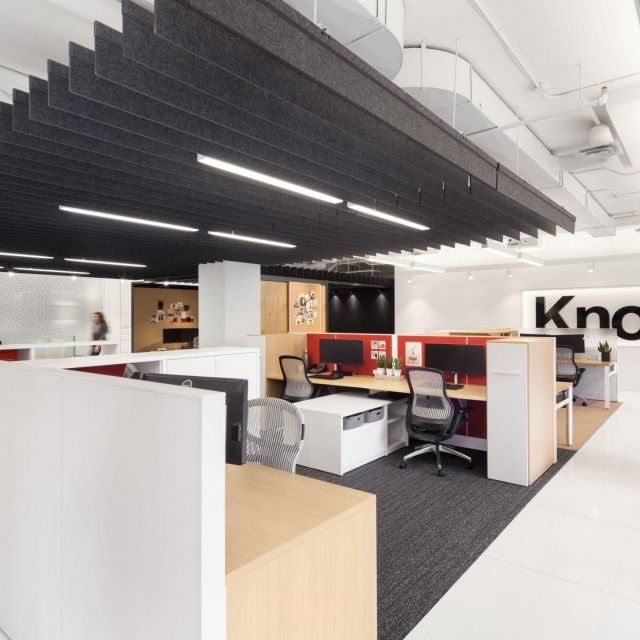 The pavilion being in the middle of the offices, the existing and new workstations run along the windows and employees benefit of all the natural lighting. 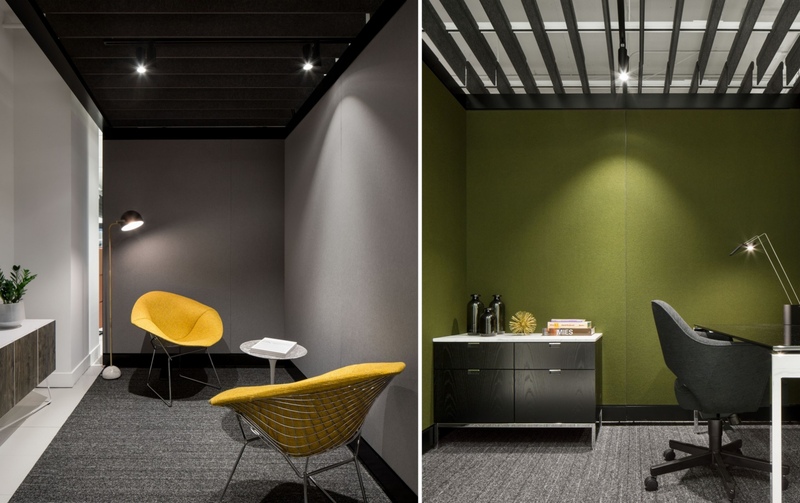 The visitor experiences a thoughtful course flooded in light and punctuated by hidden and intimate zones, where the various collections of Knoll amalgamate together seamlessly.